A Wealth of Divine Knowledge, Divine Secrets and Personal Insights Await You Every Time You Close Your Eyes to Sleep. Find Out How You Too Can Enter the Dream World, a Mysterious, Spiritual Realm That Connects You to God. Discover the Wonders of Dreams and How They Can Help You Solve Life’s Biggest Problems, GUARANTEED! Are You Worried About Dreams That You Can’t Fully Understand? God is Speaking. Are you listening? God Has Been Trying to Help You Get Back On Track For Years! It is Now Time to Break the Veil That Hides the Truth Behind Your Dreams so You Can Finally Have a Peaceful, Joyful and Abundant Life That God Says We Should be Walking In Daily. Join the Elite Assembly of Dream Masters Who Have Expert Knowledge of the World of Dreams and Are Reaping All the Amazing Benefits in Every Aspect of Their Lives – As We Speak. The Only Question Now Is… Are You Ready to Receive This Stunning Source of Unlimited Solutions That God is Speaking In Your Night Season? The Only Question Now Is… Are You Ready? 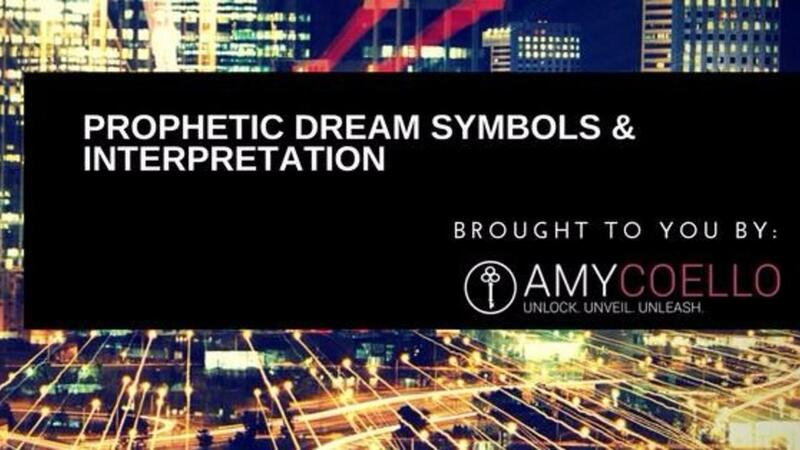 You are invited to join myself and over 46,000 others as we work together to understand our dreams on our private Facebook Group - Prophetic Dreams, Symbols and Interpretation. P.S. for more in-depth training join us on our Dream Circle Mentorship Training. 1. Have you ever woken up with a vivid dream that was either sad/happy/scary but you didn’t know what it meant exactly? 2. Do you believe that dreams carry a much deeper significance to your life because they are rooted in the spiritual realm beyond the reach of the waking mind? 3. Do you want to make your life 100% better by understanding what your dreams are trying to tell you? If you said yes to any of these questions, then you are part of a growing number of people on this planet who have awoken from a very long slumber… You have slumbered for many years, cut off from the spiritual realm and the fruits.